The Ukraine government has just recently commenced a special commission to manage the process of liquidating aircraft maker Antonov. Antonov was established in 1946 as a top secret top-secret Soviet aviation design and research bureau. 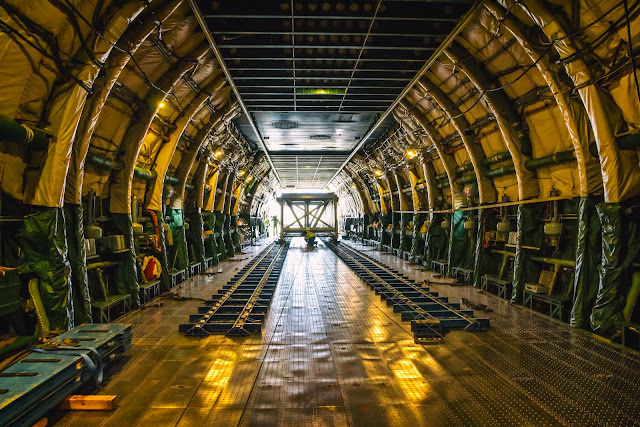 It manufactured passenger, cargo, and special purpose aircraft. Among the company's best-known aircraft are the giant AN124 Ruslan and An-225 Mriya cargo planes. 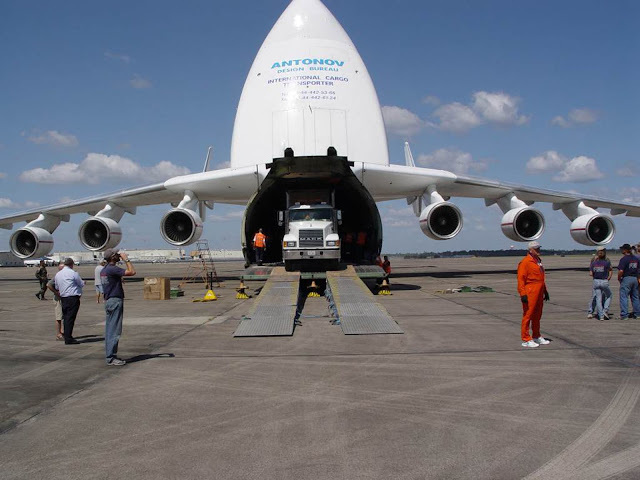 The world's largest airplane AN225 was built to carry the Soviet Buran shuttle orbiter. In 2010, Antonov and Russia’s United Aircraft Corporation (UAC) signed a deal to form a joint company. 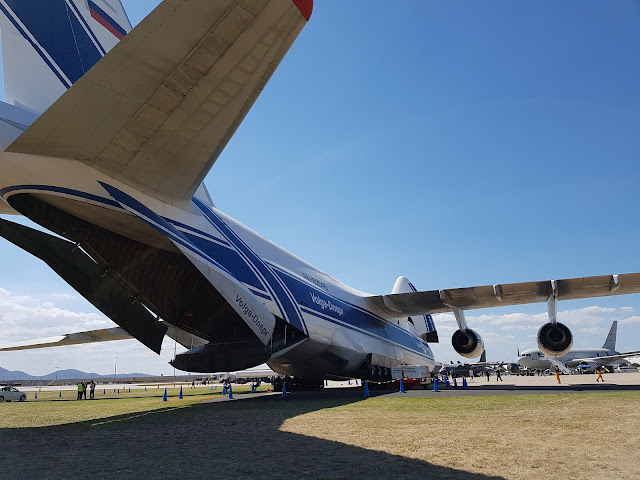 They agreed to cooperate in marketing, sales, design, and production of military, civilian and cargo aircraft as well as modifying new Antonov airplanes. Most recently however, the Ukrainian government has forced Antonov, a state owned company, to sever its contract with UAC, leading to its liquidation. This comes as part of a wider action to freeze all Ukrainian-Russian Projects. 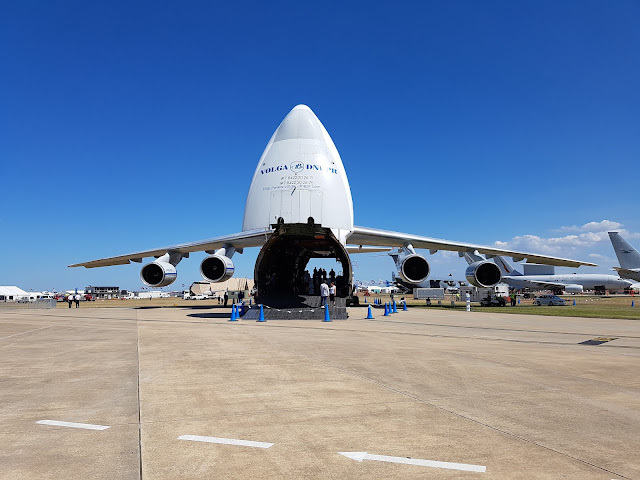 The demise of Antonov will leave a huge gap in the project airfreight market as there simply isn't any other aircraft currently flying commercially that have the same heavy lift capability that these incredible aircraft do. It will be sad to see these aircraft eventually go even though the demand for them has decreased with the downturn in resources globally. 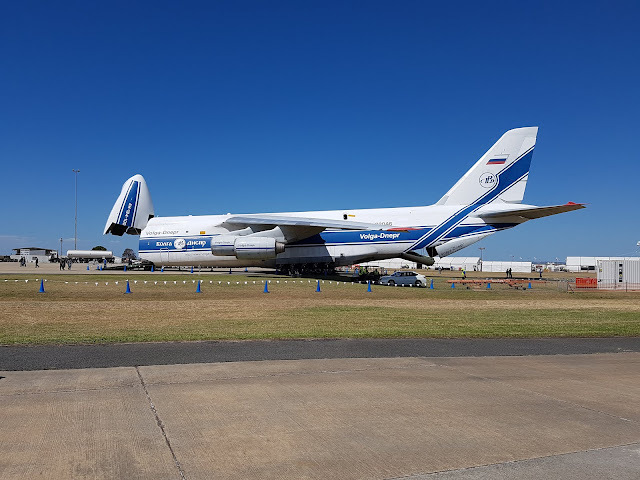 The last time I was on board an Antanov was at the Avalon Airshow in Victoria earlier this year. The last three pictures in this blog were taken there. This aircraft was not only on display but carrying American Apache helicopters back to the US after the show. Please contact myself or the team at Depth Logistics for any heavy lift cargo you may ever need to transport.